Seasonal allergies are also called hay fever or rhinitis affecting many people around the world. Are you suffering from this trouble? Are you looking for natural allergy relief without using allergy drugs, creams, and drops? 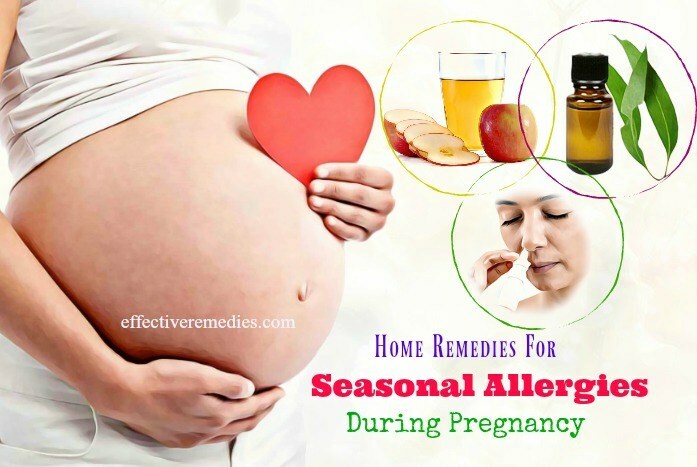 This post on our site, Effective Remedies, will provide the best natural home remedies for seasonal allergies in adults, toddlers, and women during pregnancy, its causes, symptoms and much more. Seasonal allergies occur when your immunity reacts abnormally to certain allergens (stimuli) by releasing the histamines. Common allergy triggers include certain foods, mainly tree nuts, peanuts, soy, fish, wheat, shellfish, milk and eggs, airborne allergens such as animal dander, pollen, mold and dust mites, meditations, insect stings, and latex or any substance you touch that can lead to allergic skin reactions. The common symptoms of seasonal allergies include sneezing, watery and itchy eyes, a runny or stuffy nose, ear congestion, postnasal drainage, and ear canals. Less common symptoms consist of coughing, wheezing, headaches, and shortness of breath. Instead of buying OTC medications to get relief from the seasonal allergies and its symptoms, you can try the following home remedies to combat this condition. Steep the dried peppermint leaves in the boiling water for around 5 minutes. Strain the tea and let it cool. Add the honey to it before drinking. 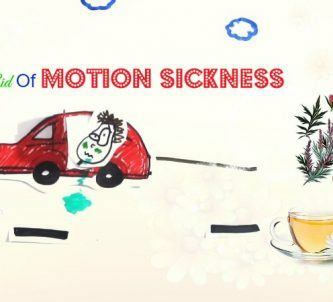 Enjoy around two cups of peppermint tea every day until you combat your symptoms completely. Take one hot cup of peppermint tea and later hold your face over it for five to ten minutes. This process will assist in breaking up mucus and clearing it out of the nose and throat. Apple cider vinegar comprises antibiotic and antihistamine properties, which are beneficial for treating allergic reactions . It can also lower the production of mucous and detoxify the lymphatic system, which is useful for allergies. Along with that, it can eliminate the symptoms of allergies such as a cough, headache, itching, nasal congestion, and frequent sneezing. The first step is adding the apple cider vinegar to the water. The following step is mixing in the raw honey and lemon juice. After that, drink this mixture thrice a day for quick relief. Thanks to its antibiotics and anti-allergic agents, lemon is perfect for removing the toxins from your body and giving relief from the allergies. It is also full of antioxidants and vitamin C that help to boost the immune system and control allergy . Moreover, it acts as an antitoxin, and it is a natural antihistamine. These things make lemon become one of the excellent home remedies for seasonal allergies in adults. You add the honey, cayenne pepper and lemon juice to the warm water. Afterward, drink this concoction every day during the allergy season. Extract the juice from a lemon and mix the juice with one cup of warm water. Begin to drink this mixture first thing every morning before the allergy season starts. Steam works as one of the best home remedies for seasonal allergies. 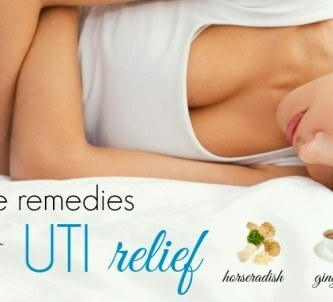 It can get rid of various symptoms of allergies. Besides, it aids in refreshing and soothing irritated sinuses. Other than that, it can also remove excess mucus & any irritants from the nasal passages. Boil the water for several minutes and then pour the boiling water into one big bowl. Add the essential oil to it. Get one tower and drape it over the head. Now, inhale the steam through the nose for around eight minutes. You can repeat the process 1-3 times per day for best results. Put the dried nettle leaf in one cup and pour the boiling water over it. Allow it to steep for five minutes. Then, strain, let it cool and add some honey. Afterward, consume this tea twice to thrice a day until the symptoms disappear. Taking nettle capsules is also helpful in treating seasonal allergies. Before using it, check with your doctor for the appropriate dosage. 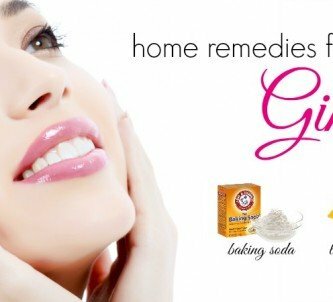 If you are searching for the simple but effective home remedies for seasonal allergies, then opt for the garlic remedy. Garlic can ward off allergies because it’s a natural antibiotic. It also contains the immune-boosting and antiviral effects . For this treatment, you eat two to three raw garlic cloves every day for around one to two weeks to battle various allergy symptoms. Alternatively, you can also try garlic supplements. For proper dosage, consult a doctor. As we know, turmeric possesses curcumin that functions as a decongestant and thus helps lower allergy symptoms. Furthermore, this spice is also full of antioxidant and anti-inflammatory properties . Taking turmeric supplements is an ideal way for seasonal allergies removal. Always consult a doctor before taking it. You can also use this spice in your cooking. At first, put the above elements in one clean glass jar and stir them thoroughly. Then, take a teaspoon of this mixture two times every day during the allergy season. Firstly, squeeze the juice from one-half lemon and the oranges. Later chill for a couple of hours and then stir in the honey. After that, add some ice cubes and consume every day for quick results. Onions consist of a water-soluble chemical compound named quercetin, which helps to reduce symptoms of allergies by decreasing the amount of histamine in the body. Besides, quercetin itself is also beneficial for inhibiting inflammation . It additionally acts as a bronchodilator, which opens up airways and helps you breathe easier. The first step is slicing the onion and adding it to the water. Let it infuse for around 8 to 2 hours. Stir in some honey and drink it twice daily. Walnuts are useful for easing allergy symptoms. They are high in magnesium that can tamp down any coughing or wheezing. Besides, they are also full of vitamin E, which can enhance the immune system and give the body protection from reacting to allergens. Like onions, apples have quercetin, and they naturally lower the production of histamine. According to several studies, eating an apple a day helps keep allergies at bay. Firstly, chop the walnuts and later cut the apple into medium chunks. Then, place both the ingredients in a bag and toss them until thoroughly mixed. After that, enjoy it. The hot oil massage is one of the most useful home remedies for seasonal allergies. You can use the oil such as warm mustard oil or coconut oil. It can offer the adequate relaxation to the body during the weakness caused due to seasonal allergies. Besides, it is also potent for improving the circulation of blood of the body. You can take a little warm oil and then get it massaged on the forehead and chest if you’re suffering from the problem of seasonal allergies. Ginger is enriched with essential antioxidants so that it is considered as one of the effective home remedies for seasonal allergies in adults. The antioxidants help you to avoid and prevent the seasonal allergies and infections . For this treatment, you can eat the ginger. You can also take a freshly peeled ginger piece and cut it. Add the boiling water over it. Keep it on for 5-10 minutes and add some honey. Then, enjoy it. Alternatively, add one to two teaspoons of ginger juice to your tea. Eucalyptus essential oil acts as a great remedy for any respiratory ailment. It exhibits antibacterial and anti-inflammatory properties, which are effective in opening up the sinuses and nasal passages. Besides, it also helps to lower chest pressure and wheezing and remove any allergen from the body. Not only that, this oil can also help reduce coughing and soothe a sore throat. Add the oil to one steaming bowl of water and later place a towel over the head and the bowl. After that, breathe deeply for a couple of minutes. Lavender oil works wonders in soothing the symptoms during allergy season owing to its capacity to calm and decrease inflammation. It can also help deal with hives and rashes that appear from skin allergies. It is also a natural antihistamine and a powerful anti-inflammatory agent. For this purpose, you put a drop of lavender oil on your cheeks together with around your sinuses all the day to alleviate your symptoms. Also, mix several drops of lavender oil with jojoba or coconut oil. Then, apply it directly to the affected region that has developed the hives or rash. Alternatively, put a few drops of the oil in an aromatherapy diffuser at first and later breathe in for around fifteen minutes. 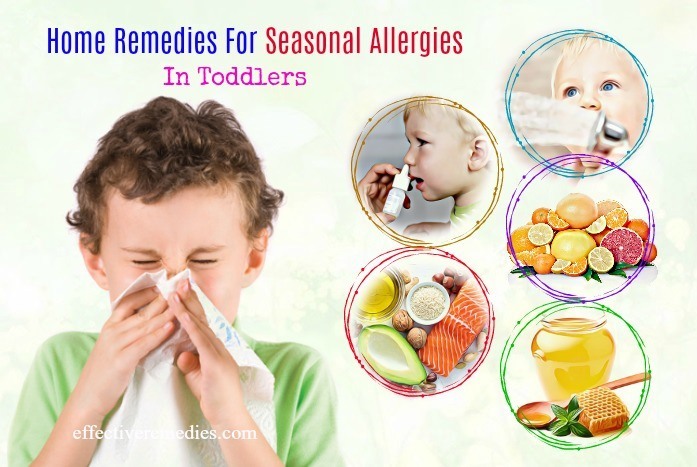 Citrus Foods: Useful treatments to deal with seasonal allergies in toddlers include fruits and foods rich in vitamin C. Because vitamin C helps treat seasonal allergies by strengthening the immune system. You can include vitamin C rich foods such as pineapple, mango or orange in your kid’s diet. Honey: Honey is also one of the excellent home remedies for seasonal allergies in toddlers. For this aim, you get few drops of lemon juice and add it to one teaspoon of honey. Then, give this solution to the toddler thrice a day. Alternatively, mix dried ginger powder or ginger juice in a teaspoon of honey at first and later give the mixture to the kid two or three times per day for natural relief. Warm Shower: A hot shower can help a lot in removing the symptoms of allergies. Give the toddler a hot shower to eliminate the allergen residue from his or her body. Saline Nasal Drops: This method will help to release the extra mucus from the nose of the toddler. Mix some salt in one cup of cooled boiled water. Keep the head of your child backward and the pour several drops of the mixture into the nostrils. Healthy Fats: A consumption of omega-3-fatty acids rich foods is highly beneficial for fighting seasonal allergies in toddlers. They also boost the immunity of the toddler and make them stronger internally. Dry fruits and nuts are full of omega-3-fatty acids. You can give these foods in a crushed form or mix them in milk. Inhale Eucalyptus Vapor: This remedy is an efficient remedy for congestion together with upper respiratory discomfort. Just add one to two drops of eucalyptus oil in one bowl of hot water and place a towel over the head. Afterward, do steam inhalation. You can also use peppermint or lavender oil. Mix it with carrier oil and rub on your chest to help breathe easier or on your temples to ease pressure headaches. Just ensure to check which essential oils are safe and useful to use during pregnancy. Wear One Nasal Strip At Night: During pregnancy, you will have many discomforts making you toss and turn. Nasal strips contain an adhesive pulling the nasal passages open, which in turns helps you to breathe better. Apple Cider Vinegar: Have a teaspoon of apple cider vinegar (ACV) in a day to fight against the allergies. Because ACV is alkaline, it’s perfect for reducing mucus production, cleansing the lymphatic system and restoring the PH balance of the body, and treating allergies. ACV also aids in curing heartburn that is a common problem during pregnancy. Irrigate Your Nasal Passages: The neti pot or a simple OTC saline spray can be beneficial for soothing and hydrating irritated nasal passages. It additionally helps rid your sinuses of allergens and irritants, and relieve congestion . You can create a saline nasal spray by mixing 1/4 tbsp. salt with 8 oz of warm water. You can add this mixture to a squeeze bottle or spray to irrigate and ease the irritated nasal passages. Use A Humidifier: It can help lower the inflammation, which allows the nasal tissues to flush out any allergic irritant and give quick relief. Ensure to clean your humidifier frequently, change the filters according to the manufacturer’s guidelines along with use distilled water. 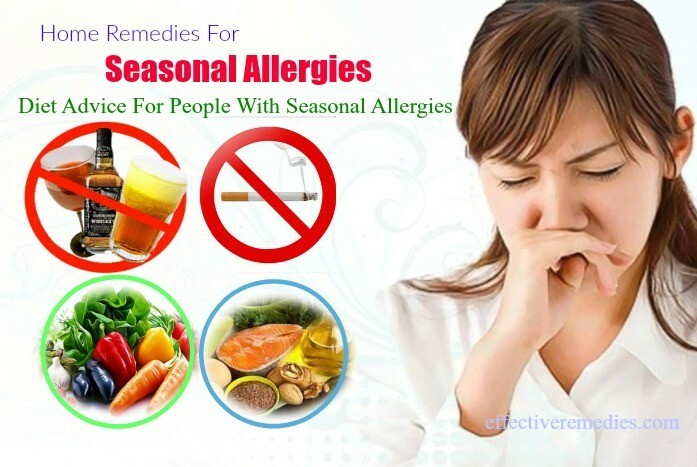 Include the food which possesses omega-3 fatty acid or EPA in your diet to get rid of the seasonal allergies. They are available in oily fishes such as salmon, herring, menhaden, mackerel, cod, etc. Have spirulina which is also rich in EPA or eicosapentaenoic acid in your diet. Eat vitamin E rich foods such as whole grains, egg yolks, dark leafy vegetables, etc. Have the food which embraces vitamin B5, vitamin C, cod liver oil, zinc to battle the allergies. Eat pineapple which owns anti-inflammatory enzyme named bromelain. Also, take papaya since it contains papain that is ideal for healing the allergic reactions. Drinking plenty of water daily will assist in thinning secretions and removing them from the nose. Stay away from smoking and drinking alcohol, which will make the problem worse. Before eating any food, always wash your hands. Always wear sunglasses and a wide-brimmed hat because it is helpful in preventing the pollen from blowing into the eyes. Wear a mask when gardening and doing yard work. After being outside, wash clothes thoroughly. That prevents the outdoor pollen from establishing in your bedding and furniture. Check your house for pollen and mold. Wash your pets frequently to avoid the allergies because animal dander will contribute to allergy attacks. 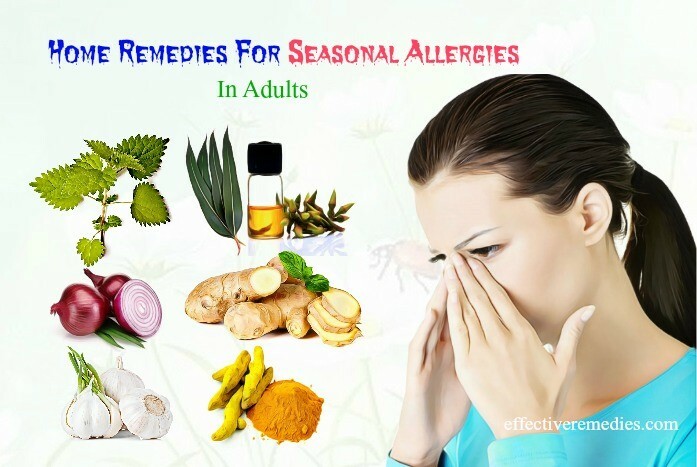 All of the treatments mentioned above will ease the symptoms of seasonal allergies. 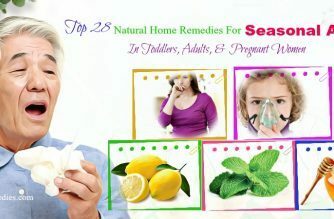 Try these home cures today, and share with us and other readers if you know any of other natural home remedies for seasonal allergies in toddlers, adults, or pregnant women. All of the contents provided in this article are for informational & educational purposes. We recommend you consult a healthcare professional to determine which method is appropriate for you.